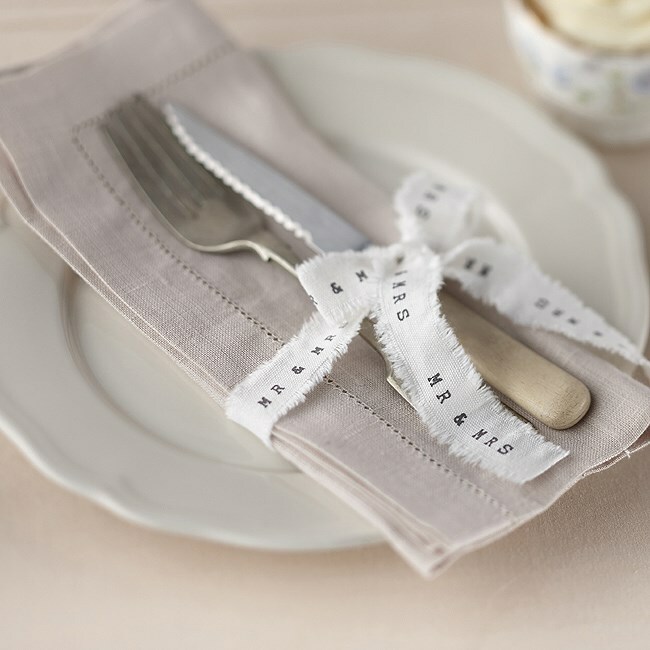 DescriptionThis pretty Bridal White frayed ribbon with the words Mr & Mrs printed is ideal for wrapping favours or gifts or tie around your wedding table napkins. Each pack contains 4 Metres and the width of the ribbon is around 2cm. "Just Married" ribbon is also available. This pretty Bridal White frayed ribbon with the words Mr & Mrs printed is ideal for wrapping favours or gifts or tie around your wedding table napkins.